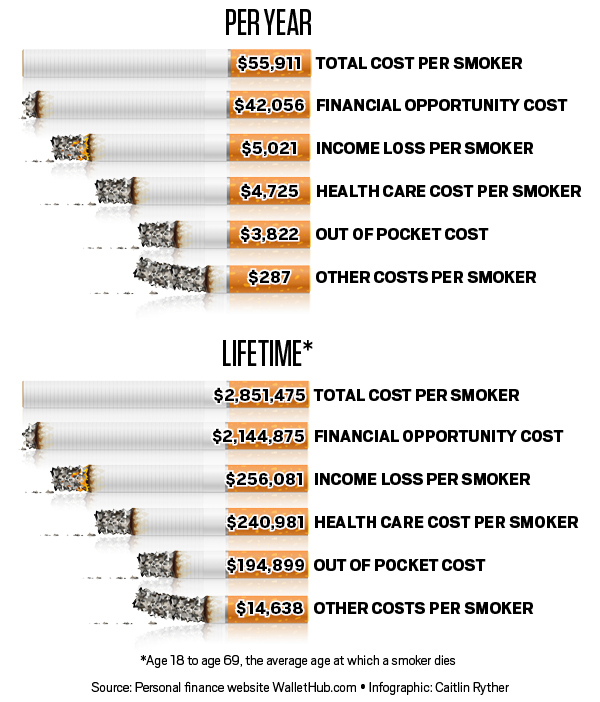 The bad news is, New York state smokers have the second highest total annual and lifetime costs in the United States. Only Connecticut smokers have higher total costs. So, the next time you see someone stepping outside for a smoke break, picture them burning cash instead of tobacco.